Your Own Do-It-Yourself Kabbalah Kit by Michael Levy. What Einstein meant was, everything that he discovered that was true, came from the mind of God, because they were not details…They were important scientific discoveries. Therefore, we could claim Einstein was on a kabbalistic wave band of thought, although he may not have identified himself in that terminology (as far as we know). Over the past few hundred years the mystical Kabbalah was only taught to rabbinical students over the age of forty, because it was thought they required an advanced mental capacity to absorb the information. They believed kabbalistic knowledge couldn’t be absorbed until the intellect had time to develop. However, a man by the name of Rabbi Berg and a bunch of his students set out to change all that and indeed, they have. Kabbalah centers have opened up all around the world and it has now become chic and trendy to study the ancient teachings. It has now become commercialized considering you can purchase an assortment of books, godly trinkets and many other holy symbolic bobbles of Kabbalah at the shopping mall. You can even purchase special red bracelets that some say wards off the evil eye. So, it now appears the modern Kabbalah contains superstition that is definitely not part of God’s mind. Neither are all the other symbolic holy bobbles and trinkets. They are just cashing in on a fad trend that has no meaning whatsoever in authentic terms. But in fairness, it may bring some type of calming placebo effect and it sure is better than drugs and alcohol to soothe depression. Also, if it is worn as jewelry then there is no harm just as long as the jewelry is not taken seriously and people don’t become dependent on them for their mental balance. OK, you are about to find the key that unlocks the treasures within the mind of God. Not only that, you are about to get your very own personal Kabbalah kit for free. No need to join any organization, because you already have everything it takes to get inside the mind of God so that you can live an authentic life on earth. Here are your key ingredients that can bring you all your heart’s desires. You can access the mystical realm beyond space and time every moment of every hour of every day on earth. After all is said and done, it is not any use learning about the mystical white magic of the Kabbalah if it does not manifest itself in day-to-day actions that are productive and worthwhile. – An awareness of who you are. – An awareness of why you exist. – A method to get inside the mind of God. – Sourcing the intelligent wisdom outside time and space. Once you understand the contents of this kit, you can live a life on earth that many people are seeking and searching. Some wealthy people are paying a fortune to develop inventive serenity, creative tranquility and fertile original thoughts….But no matter how much they pay, they will never buy authentic thoughts, for you cannot purchase, what you already hold. Intelligent energy circuits, conducted by neurons, orchestrated by God, run your mind. The word Kabbalah means ‘receives’ In other words God gives and human beings (and all other life forms) receive. Most intellectual brains are not aware where their original ideas stem from. Many will say the thoughts come out of the blue…and indeed they do…they spring out of what I have labeled….. The Blue Wave BandsÂ©. The wave bands are transmitted from the mind of a supreme intelligent energy that has the power to create and destroy at will. What turns that will on and off will be uncovered in a future essay. It is essential to understand who you are and to do that, you need to recognize who you are not. You are not your personality, ego, intellect, body, mind or thoughts. None are your true identity. You are a vibration-wave of intelligent energy that filters in, around, and out of the mind and body, you live with, in physical form. We really should not give it a name, for if we call it soul, we will become mixed up in many intellectual/religious meanings, which have no meaning. However, for ease of language, we will refer to it as a soul. A soul owns nothing and yet can manifest everything. If we live as a soul who is no-thing, we will have nothing to argue about. At the same time we will be aware we can manifest whatever our heart desires. If we try to manifest what our personalities desires, the results can be catastrophic. That is because our egos may possess other people’s fallacious opinions, inaccurate beliefs and unsound dogmas, which we have taken to be true at an early stage in our development. Consequently, it has grown into our own reference points within our mind. In all likelihood, they did not originate from Gods mind. The reason you exist on earth in physical form is simple to know, hard to understand and seemingly impossible for most people to live. You exist to live in joy every moment on earth. This is the whole meaning behind the Kabbalah, every other holy book, wise doctrines and most religions in the world since humans could write words on paper. It is the authentic self that you just read in part two of this kit. We just keep quite minded and stop our conscious minds, moaning and groaning … We stop asking God for favors. We need to keep noiseless, soundless and in the complete empty silence of our subconscious mind. This will give our subconscious mind the opportunity to connect and communicate to the channels inside Gods mind. The soul is continually connected to the eternal source through a dimension we name spirit. That is why we can connect in less than a blink of the eye, once we comprehend how to communicate. Once we learn to silence our minds from all thoughts, we are able to receive signals from a divine source of intelligence that is formless and infinite. We can enter the kingdom of God by going inside our own conscious mind, asking a question that requires an authentic answer, then pass the question into our subconscious and allow the auto response system that the creator invented, to function as it was made to do. Once we can perfect empty silence for more that a few minutes we will find genuine answers to our questions. Our mind can transmit and receive signals in a form we term as thoughts. Every thought we have is a sort of electric energy impulse that transmits through and beyond space and time. It then reverberates back on earth and can be accessed by all life forms that have a subconscious that is willing to accept the message. Depending on how that mind is programmed, it may or may not want to interpret the message. In the beginning of humanity, all thought originated from Gods mind in pure form. However since humankind developed the intellectual part of the brain, the thought process has become distorted and confused. Very few people can still access pure thoughts direct from the source without any taints or blemishes of past thinkers. The man-made-thoughts that are tainted are referred to as The Devil. You see, they came from God originally, but now humankind has distorted them and they have created evil on earth. If we want to live life without evil, all we have to do is recognize the difference between the man-made artificial thoughts and those that emanate from the mind of God. The fabricated stuff is mostly located in the emotional part of our brain but that also contains the feelings of love and joy that are not artificial. Most people live with a manufactured God, which is opposed, by a supernatural devil. This is no more than a mirror image of their own egos and personalities. Hence, it produces conflicts and wars in their God’s name. When we live outside the artificial world and inside the mind of the creative intelligent energy that created the Cosmos, we live within the original blueprints of creation. You now have the teaching and learning of many hundreds of years of studying the Kabbalah in a nutshell. What many people have studied for a lifetime I have simplified in a few pages of text. You can read your Kabbalah kit a few more times until you digest it and give your mind a few weeks to chew it over within the subconscious. It will help you to continue discovering all the magnificent beauty, virtue, grace and excellence your life on earth commands. As each day unfolds and the more you accept yourself as a bundle of authentic joy, the more love you will magnetize into your life. You will discover love and joy are not possessions; they are melded to one another in a sacred blessing of intelligent energy, which we can enact out in our authentic life on earth. You can now pack up your worries and anxieties in you kabbalah kit bag and smile…smile…smile. 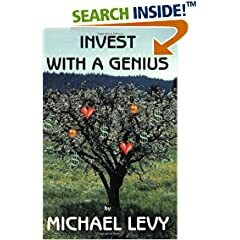 Michael Levy is the author six books What is the Point?, Minds of Blue Souls of Gold, Enjoy Yourself – It’s Later Than You Think, and Invest with a Genius. His new book is titled: The Joys of Live Alchemy. 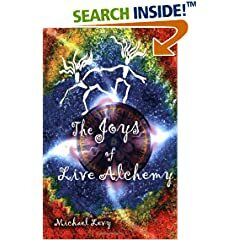 The words “Live Alchemy” are an anagram of Michael’s name. His web site is ranked number one in the world out of 6,000,000 websites when “Inspirational books” are the search words on Google. Another new book … Worry Causes Wrinkles, will be published 1st October 05. In 1998 Michael wrote his first book "What is The Point" in only ten days. He had left school at sixteen and had never read a worthwhile book. Michael's poetry and essays now grace well over 1000 web sites, Journals and Magazines. He is a renowned guest speaker on Finance, Wellness and Inspiration. He has appeared on TV in the USA and UK and hundreds of radio stations throughout the world. This article,Your Own Do-It-Yourself Kabbalah Kit, was first published in "Yoga Magazine" and in the book "The Joys of Live Alchemy" in June 2005.